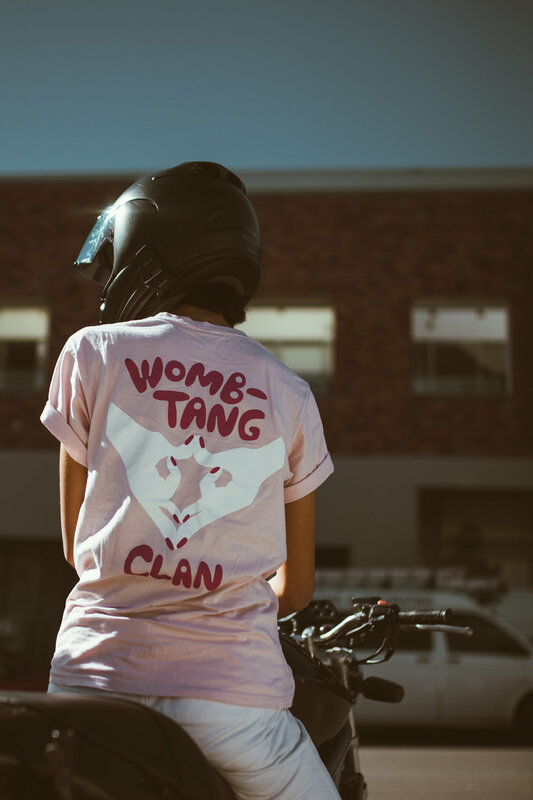 WOMB TANG CLAN AIN'T NUTHING TA F^©K WIT. Reba, Ronnie, Anthea and Celine: that’s who I’m talking about. Four sisters (from different misters) doing it for… well… other sisters, actually. Sisters suffering from endometriosis to be precise. But on top of being four awesome ladies, they also ride motorcycles. From all walks of life and seriously varied upbringings (including Anthea’s childhood on a dairy farm driving tractors and quads) they began riding for different reasons. Celine "Moody-Mole" Okada rides a VTR250 she has lovingly dubbed The Black Sheep. Her inspiration for riding was one we can all relate to: the freedom. Ronnie "Mini-Mole" Holland burns around on her Yamaha XT660X . “I was exposed to a variety of cars and a few types of bikes from a young age, but it was the joy of riding that really took hold”, she tells me. 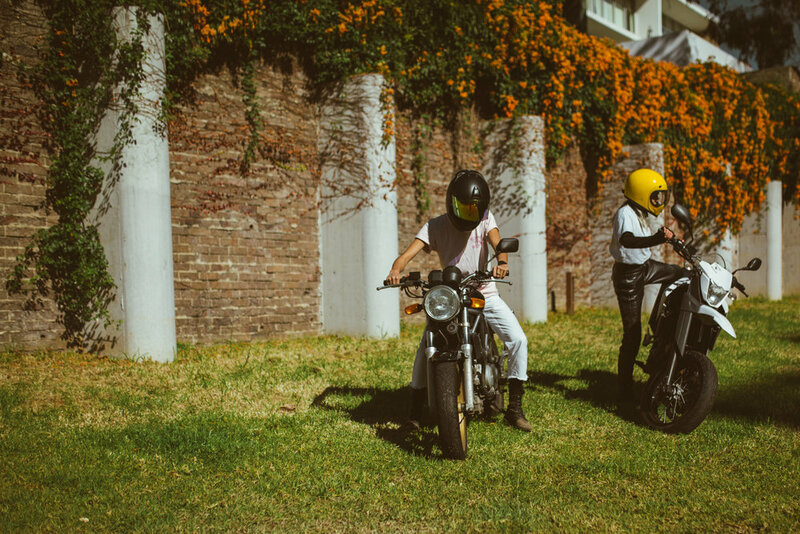 Since coming together as mates and all getting their licences, they’ve taken a tonne of riding adventures together throughout Australia, America and Europe which, of course, I’ve enviously followed on Instagram (they take mean shots of smoking tyres and highway fires). What impresses me most about this gang of gals is the underlying purpose of the Womb Tang Clan... 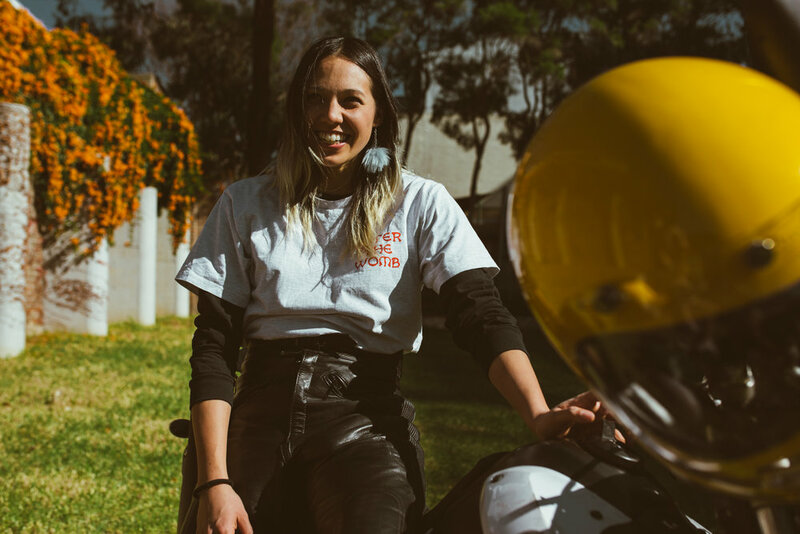 Collectively, they printed a small run of t-shirts and donated 20% of the profits to EndoActive, a not-for-profit charity committed to raising awareness of endometriosis. Remaining profits went back into the kitty for future projects, more quirky merchandise and for donating to other charities that support and actively empower women. Buy a tee here and help a lady out.